Traditional well logging have been used for years as a proven means to determine underground lithology and fluid presence or absence, but recent technology shifts have provided more affordable options. 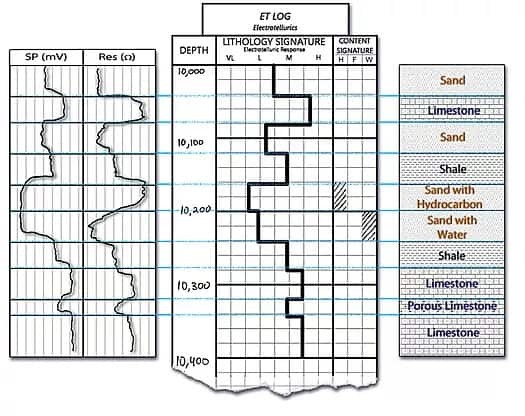 From oil wells to water wells to mining, various well logging techniques such as wireline logging and logging while drilling (LWD)are techniques used to determine depths of underground formations and fluids. The problem is, all of these techniques require a well to have been drilled or to be drilled, before any downhole logs can be produced. As a result, well logging takes excessive time and funds to generate log readings that can otherwise quickly and accurately be taken using modern non-drilling technology at a fraction of the price. The Petro Sonde solution provided by Geophysics International is such a technology. Before we can understand the advantages of technologies such as the Petro Sonde, it is important to understand typical costs for traditional well logging techniques. First and foremost, there will be the cost of drilling the well, and drilling with the hopes you are in the correct spot. For example the drilling and logging costs of a 3,000 foot vertical well may be as much as $200,000. This method is not only very expensive, but it can result in dry holes. Fortunately there is a way to accurately collect this same data while ensuring an optimized drill site. And this can done at a small fraction of the cost BEFORE drilling. 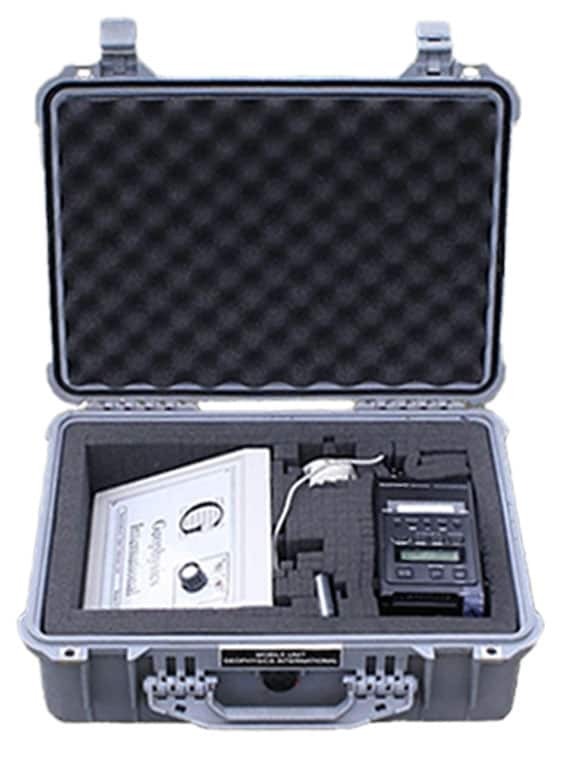 The solution we provide at Geophysics International is a handheld piece of equipment, about the size of a briefcase, called the Petro Sonde. The Petro Sonde is an advanced electrotelluric device used to utilize naturally occurring electric currents in the earth for the detection of subsurface lithology and fluids. The device is placed on the ground and by measuring these currents at various depth ranges we are able to determine the lithology and fluid presence or absence underground. Specifically we can detect oil, water, gas and all lithologies. Also, the device can determine updips and downdips in oil, gas, and water to avoid a dry hole and maximize production. What makes the Petro Sonde most appealing is it is extremely portable, easy to operate and very affordable. Our cost structure is straight forward. When you receive the Petro Sonde from Geophysics International, you take the readings (5 minutes/data point) and communicate with our analysts what depths you would like analyzed. We charge only $2.50 for each foot analyzed. Using the same example from before, if we wanted a 200 foot reading at 3,000 feet (between 2,900 and 3,100 feet) the cost would be only $500. Not the $200,000 that traditional drilling and logging would cost. This would save you the time and the cost of drilling and logging in a traditional manner. Furthermore you could avoid huge losses by avoiding a dry hole and correctly hitting your updip section. Readings at multiple locations would allow you to determine an in-depth understanding of the underground formations and fluids before ever putting a drill bit in the ground. The best way to get started is to reach out to one of our specialists at Geophysics International to discuss your specific needs. We will then ship you the Petro Sonde device for you to record the data. Once your data is collected, you will tell our analyst which depths you would like analyzed and will then receive your results over the internet. When you are finished, you ship the device back to us. Get started by calling us at (972) 478-4325 or fill out the contact form on our website. If you would like to read more about the Petro Sonde please visit our About The Petro Sonde page.